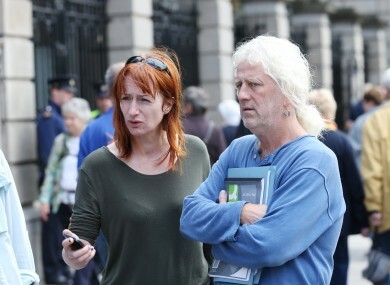 Independent TDs Mick Wallace and Clare Daly. A NEW POLL has indicated that support for Independent politicians has fallen by almost a quarter to 10%. The latest Sunday Business Post/Red C poll indicates that support for both independents and the Independent Alliance is down by three and one percentage point respectively. Fianna Fáil’s support rose by two points to 28% giving it a four-point lead over Fine Gael - its strongest lead over Fine Gael in over a year. The poll was taken between last Monday and Friday, during which time the National Maternity Hospital controversy was rumbling on. Support for independent politicians surged in the aftermath of the financial downturn and during years of austerity, while support for political parties fell in the last election. That trend towards independents seems to have been reversed in this poll, which can of course be wide of the mark. Email “Independents drop three points in latest opinion poll”. Feedback on “Independents drop three points in latest opinion poll”.